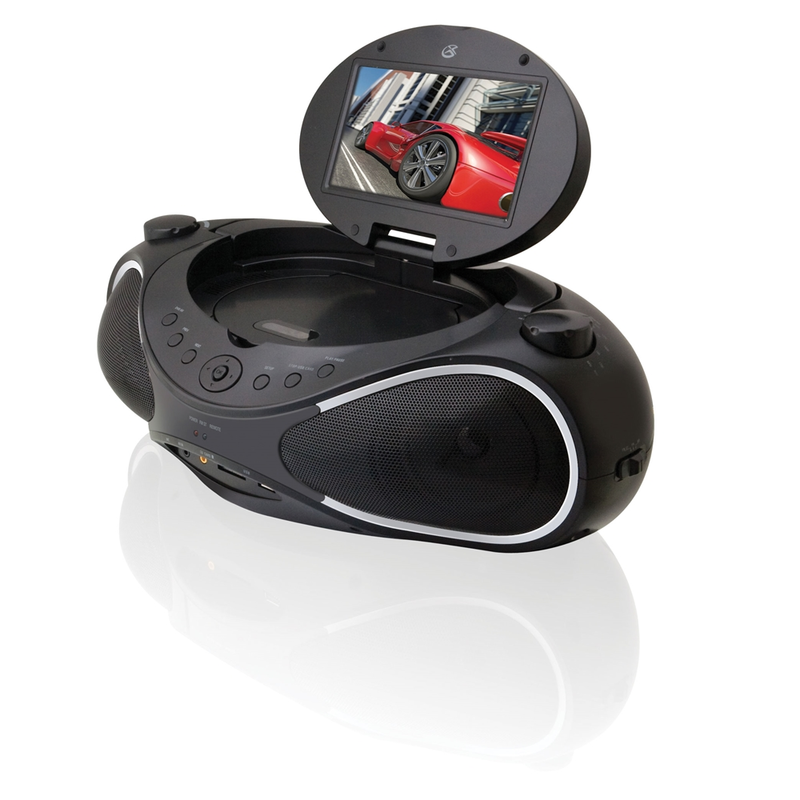 Introducing the NEW and IMPROVED Sound Vision Portable Video Boombox Movie and Music System. Featuring a 7" LCD display for movie playback, the Sound Vision plays DVD, CD, CDR/RW and CD-G karaoke disks. The built-in USB memory reader also lets the Sound Vision read JPEG, MP3 and DivX/XVid video files. There’s even an AM/FM radio!